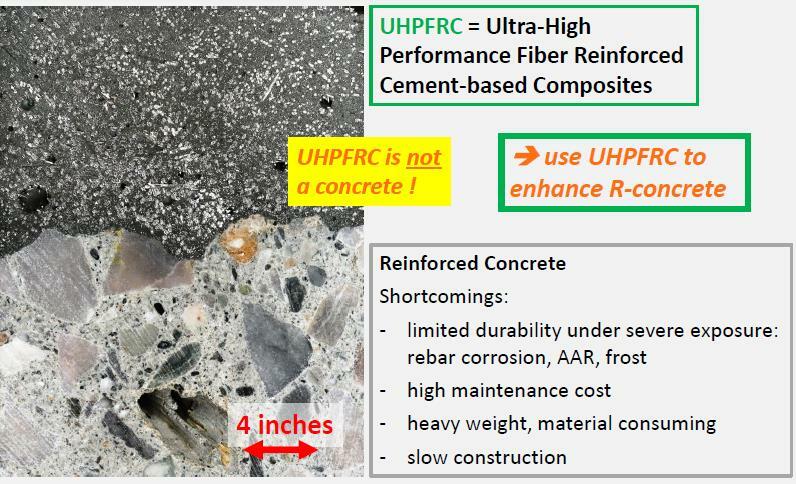 Description: Ultra-high-performance fiber-reinforced cementitious composite (UHPFRC) technology adds a layer of strain-hardening UHPFRC to the reinforced concrete (RC) deck slab of existing bridges showing durability problems (e.g., rebar corrosion, alkali-aggregate reactivity, frost damage) and insufficient structural capacity. 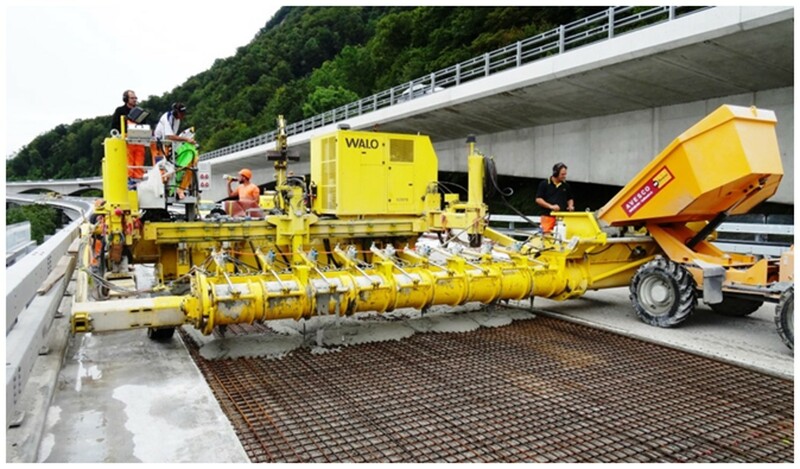 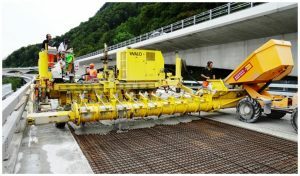 In Switzerland, this technology has proven to be technically effective and economic to increase the structural resistance and durability of such bridges. 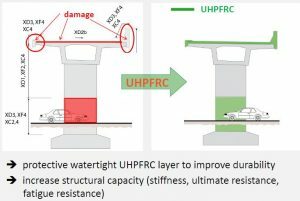 The novel UHPFRC technology allows for rapid interventions limiting restriction of bridge use that significantly contributes to cost reduction. 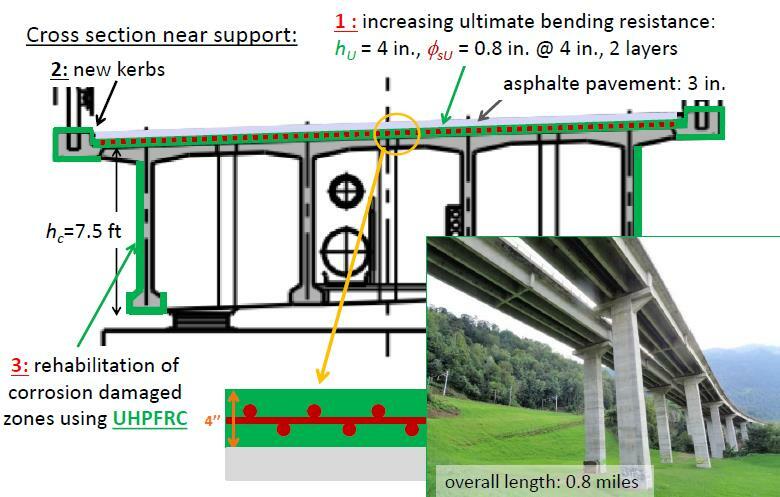 In addition, strengthening using UHPFRC avoids the costly replacement of damaged bridge deck slabs. 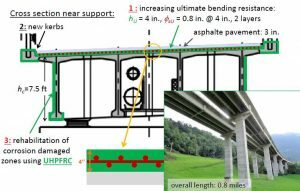 This presentation is intended for bridge engineers willing to implement UHPFRC to strengthen their RC bridges and steel-concrete composite bridges using a rapid and economic intervention. 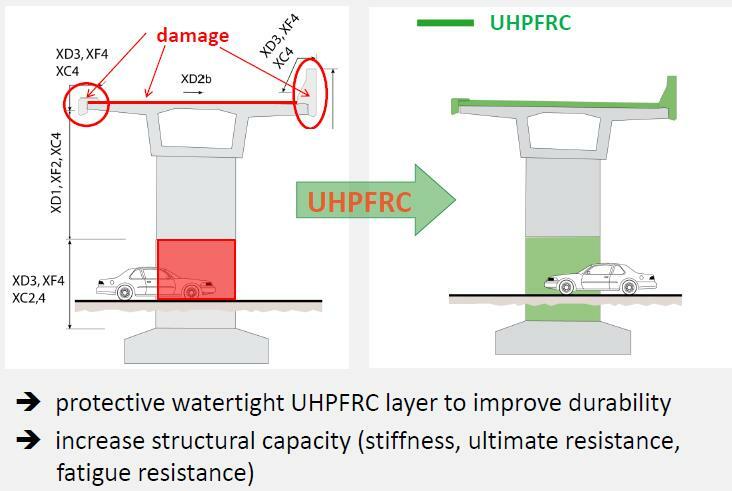 The basic idea of the UHPFRC strengthening method is introduced by means of the designs for the strengthening of two large highway viaducts in Switzerland. 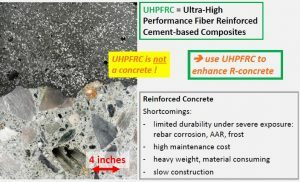 1) Conceptual idea : enhance RC using UHPFRC !